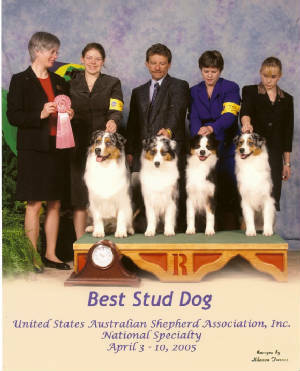 Top Sire 2004 ~ Pedigree System! USASA NATIONAL SPECIALTY 2005 WAS A BLAST!!! WOW!!! 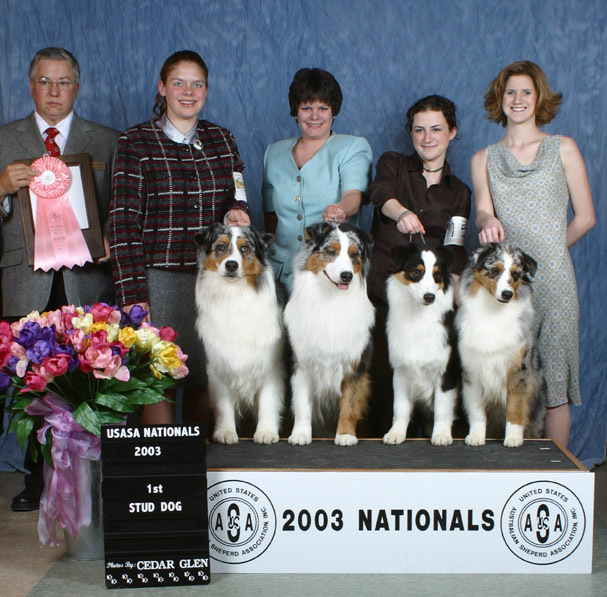 Cruiser and Becky win the Veteran Dog Class 7-9 years under Ms. Paula McDermid ~ huge Thank you!!! You're not reading triple, Cruiser did it again, Whoohoo!! First place Stud dog class THIRD year in a row!!! How spectacular. "CRUISER" Is our very own homebred boy! He was finished by our own Rebecca J. "Becky" McDaniel, then went onto the specials ring with Jamie J. Orr and garnered 16 Group 1's, and more than 30 other Group placements. 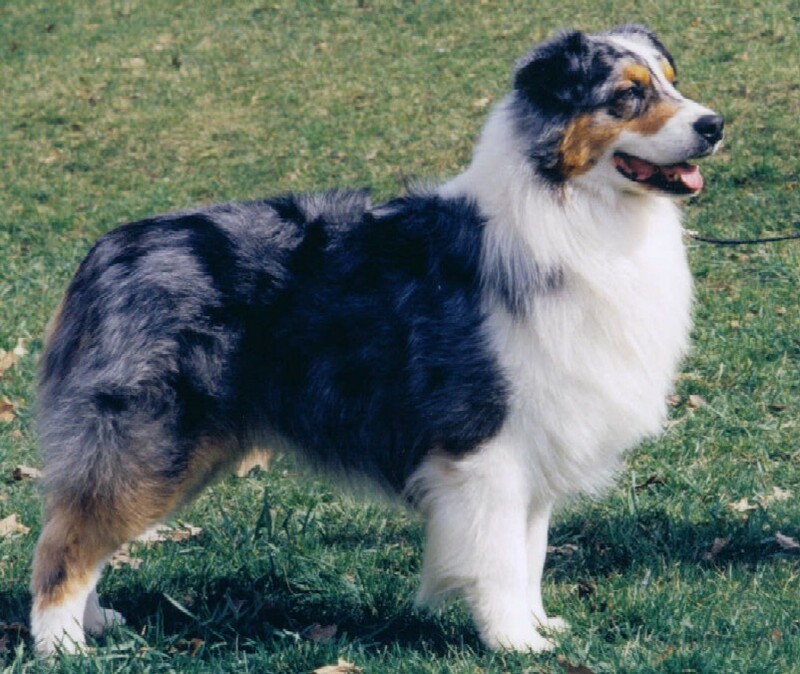 Cruiser has been producing sound puppies that are finishing fast and being specialed and are winning in the Group Ring....and we're especially proud of his son, CH Crocker's Weekend Warrior on his BEST IN SHOW. Cruiser is a nicely linebred boy. FLASH: Cruiser has been heating up the agility ring - he now has his Open Agility Standard Title as well as his Novice Jumpers and a leg toward his Open Jumpers title!!! A Breeder's Thrill!!! Thanks Team!! STUD DOG First Place 2004 USASA NATIONALS!! This group of get were from different dams from 2003! Very correct movement, deep chest, nice bone and an outstanding temperament!